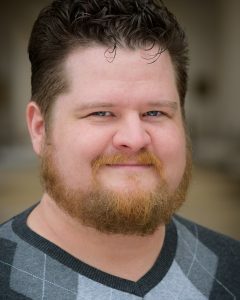 Patrick Blindauer (Horton, Music Director) returns to the Lyceum stage, having previously worked on A Year with Frog and Toad, The Wizard of Oz, Sanders Family Christmas, and the 1995 summer season. He’s a graduate of Webster Conservatory and makes crosswords for places like The New York Times and his website, patrickspuzzles.com. On-screen, Patrick appeared in the film A Beautiful Mind and 7 episodes of Strangers with Candy. His other local projects include Annie, Singin’ in the Rain, and 42nd Street for the Muny, Romeo & Juliet for Shakespeare Festival St, Louis, and The Wizard of Oz (Lion) for Variety Theatre, but Patrick’s favorite role to date is that of Maggie’s daddy.